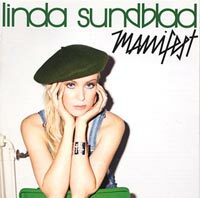 Home Linda Sundblad is the lead singer in the Swedish band Lambretta (of course you already know that) and she has released her first solo album. Alexandra 31 August 2008: Martin from Sweden let me know that Linda Sundblad is the new host of weekly two-hour teen-oriented radio show "P3 Star". Well done Linda, but don't forget about your music career! Lukasz Gottwald 19 September 2006: Niklas from Sweden emailed and told me that Linda Sundblad from Lambretta will go solo and Max Martin and Alexander Kronlund will help her with the album. Her Album "Oh My God" is out 8 November! Awesome news! Thanks! Link: Musikjournalen Linda går solokvist . Looking forward to it! 17 Bon Jovi 5. Perfect Nobody (With Fibes Oh Fibes!) music & lyrics by l. sundblad/ m. nilsson/ c. olsson. Produced by nille & chris of fibes oh fibes. 36 Emblem3 Produced by ? 53 Kelly Clarkson The first thought that came into my head when I listened to this was: Kylie Minogue. But a cross between the 'indie' and the 'pop' Kylie. I have to admit that before I listened I wasn't sure if Linda could pull of a solo album and so I was really surprised at how much I enjoy her album. Though I don't know why I was surprised really when she has some great songwriters co-writing with her. I lurve the first single "Oh Father" and of course "Pretty Rebels". I have been listening to this album quite a lot! 80 Shayne Ward Martin Landqvist also works under the name of "Nåid" and has released 2 solo records.